Regional Development Australia Central Coast (RDACC) has applauded the decision by the Australian Government to address working holiday visa restrictions to help address the critical labour shortage facing Australia’s agricultural industry. 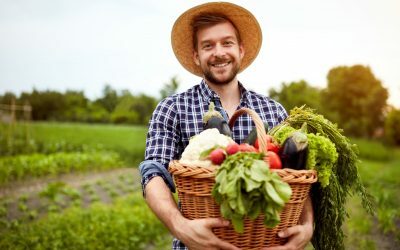 Announced by Prime Minister Scott Morrison earlier this week, changes to the current working holiday visa system are a positive move to support our $63.4 billion-dollar national agricultural sector. RDACC Chief Executive Officer and Director Regional Development, John Mouland, says the changes will assist in addressing labour issues impacting our local agricultural industry. “We commend and congratulate the Australian Government in listening to the needs of this sector and making significant changes to the working holiday visa system to support our invaluable agricultural industry across Australia,” said Mr Mouland. “These changes will be critical in helping to address labour shortages within the Central Coast agricultural industry, by allowing increased access for seasonal workers from overseas to pick and process local crops. According to AAP, some 419,000 backpackers visited Australia last year, spending 1.4 million nights in regional areas, where they spent $920 million. “These statistics highlight that not only are the changes beneficial for our agricultural industry, but will also have a positive impact on our broader local economy,” Mr Mouland added. Changes to the working holiday visa system include increasing the length of stay, expanding age limits, increasing number of return visits, and removing restrictions that required workers change employment after six months, as well as reducing the market testing required to demonstrate overseas labour is necessary. RDACC acknowledges that although the sector was calling for a dedicated Agricultural Visa, this week’s announcement is a major step in the right direction. “Although we echo the sentiments of the National Farmers’ Federation and other major bodies in the agricultural sector, in celebrating this move to ease restrictions on the current working holiday visa system, we still have more work to do” said Mr Mouland. “Under the anomaly most of the Central Coast Plateau is covered by the same postcode as Gosford and therefore deemed to be part of a regional city rather than a rural area. This currently means backpackers who come to our region to pick fruit are ineligible for the much sought after one year holiday visa extension for fruit pickers and agricultural workers”. We need to ensure that the recently announced changes to the working holiday visa system address this important challenge for our local growers”.